Welcome to Quincy Lube & Oil! Quincy Lube & Oil is the top oil change service in Quincy, IL. Same owners, same management, same great service! Serving our customers with an old fashion standard of fast, honest, and dependable service. 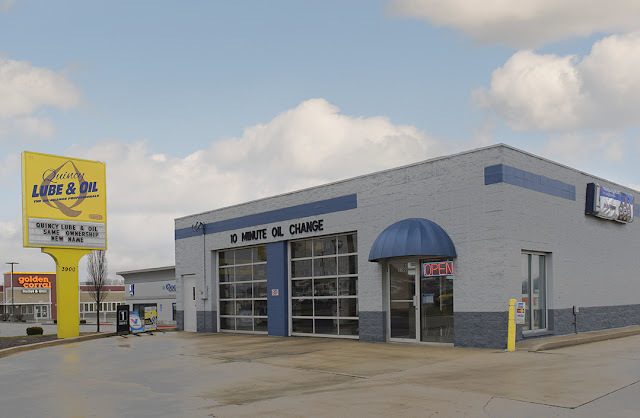 Quincy Lube & Oil is the top oil change business in Quincy, IL and the surrounding area offering a variety of car care options. Formerly known as Lube Pros of Quincy. Located at 3900 Broadway in Quincy IL this location has been serving Quincy, IL for over 25 years! Still under the same ownership and management the only thing that has changed is the name! You can trust your car to the care of the trained technicians at Quincy Lube & Oil. All images © Wigglebug Photography. All rights reserved.